The candidates whose Register Numbers mentioned below are provisionally selected for admission to the Oral Test for appointment by direct recruitment to the POSTSOF ASSISTANT MEDICAL OFFICER ( Homoeopathy ) in Indian Medicine and Homoeopathy Department, IN THE TAMIL NADU MEDICAL SERVICE(2009 - 2012) based on the results of the Written Examination conducted by the Commission on 06 - 01 - 2013 FN. 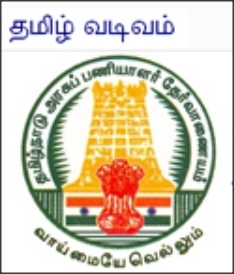 The candidates whose registration numbers are found in the list have to send by post and upload the certificates in support of their claims (viz Educational Qualification, Date of Birth, Gender, Community etc ... ) made in their online application along with a copy of online application on or before 23 - 08 - 2013 without fail. The candidates who do not send and upload one/more of the documents mentioned above are liable for rejection of his/her application. Any false claim made by the candidates will be viewed seriously and is liable for penal action to be initiated by the Commission against them besides rejection of their application. In case of failure to upload the documents and/or in case any rejection of applications, an additional provisional list of candidates to be admitted to the Oral T est will be published. Subsequently such candidates will be admitted to Oral Test after verification of documents to be submitted within the prescribed period. 1. Mere inclusion of the Register Numbers of candidates will not imply that his/her candidature has been fully considered for Oral Test. Thank you for sharing valuable information. Nice post. I enjoyed reading this post. The whole blog is very nice found some good stuff and good information here Thanks.